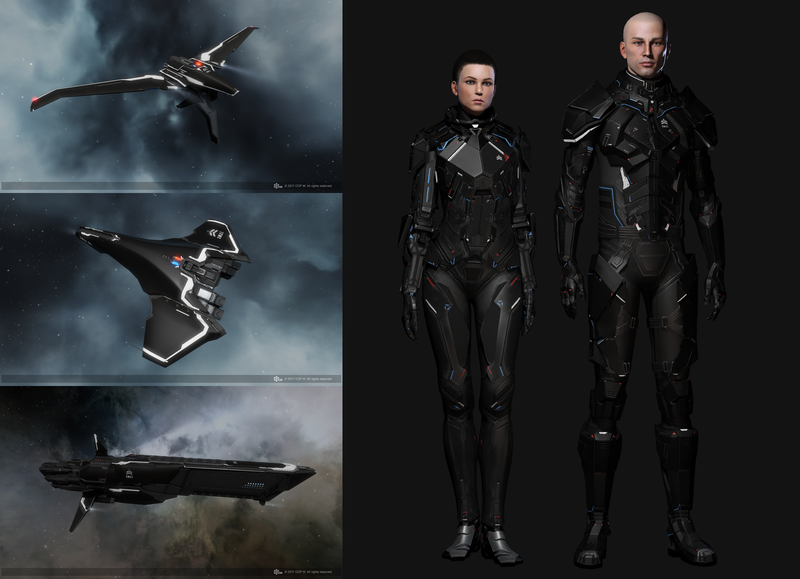 CONCORD SARO SKINs & Combat Suits Gifted To Mystery Code Holders! We're happy to announce that as part of the fifteenth anniversary celebrations, a set of CONCORD SARO "Black Troop" SKINs and Apparel have been gifted to all Collector's Edition Mystery Code holders. These gifts will remain in the redeeming system for 90 days, so be sure to claim them before they expire! The set includes four SKINs for the Pacifier, Enforcer, Monitor and Marshal, as well as both a male and female SARO Combat Suit, all of which are exclusive to Mystery Code holders. The Directive Enforcement Department's SARO division operates as the direct intervention black ops division of the CONCORD Assembly. 'Black Troop' remains the most infamous unit within SARO, notorious for their ruthless efficiency and direct, brutal approach to conflict resolution.